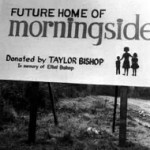 Morningside was incorporated June 11, 1963. At that time we were called The Lower Puget Sound Development Center. The company was started in the basement of the First Baptist Church by a group of courageous parents looking for meaningful programs for their sons and daughters with disabilities. This was at a time when there were few choices available in the community and the alternative was placement in a state institution. 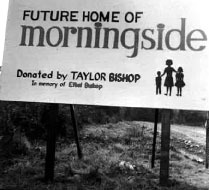 1964 Four agencies merged to form Morningside – Lower Puget Sound Development Center, ARC (Association of Retarded Children), UCP (United Cerebral Palsy) and the Society of Crippled Children decided that the community would be better served by merging and chose to call this new company Morningside. 1969 – Mr. Taylor Bishop generously donated 10 acres of land on Olympia’s westside. In 1970 Morningside broke ground. During the second decade Morningside grew in the number of persons it served and evolved from an agency that produced arts and crafts to producing sub contract work for a variety of business and state agencies. 1975 – First microfilm contract at Airdustrial (New Market Industrial Campus) location. 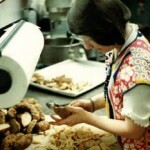 1980 – First enclave at Charlie’s Bar and Grill prepping food. 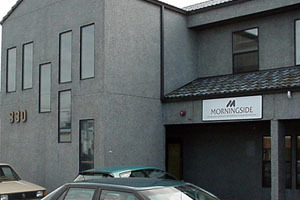 Morningside was the one of the first Community Rehabilitation programs to provide ongoing support services in an actual business. 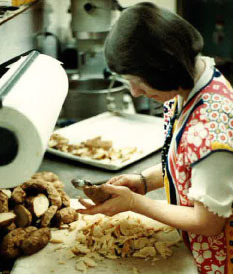 1980 – Wood products manufacturing. 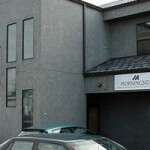 Like many programs similar to Morningside we engaged in a cut-stock operation for a local business. During the years 1983-1993 Morningside experience phenomenal growth in the types and variety of work it performed. 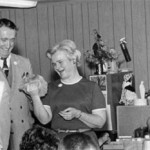 This was the era that supported employment, began serving individuals with developmental disabilities at employers and jobs in the community rather the sheltered workshop. 1984 – Morningside had over 104 placements in the community. 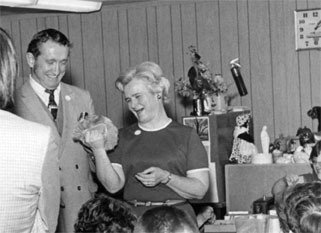 1989 – first supported employment placement made. 1991 – Call center opened answering phones for the Washington State Department of Tourism and fulfilling orders for “Destination Washington” a catalog of things to do in Washington State. 1992 – Morningside began a nationally recognized High School transition program. This was a highly successful program working with students prior to graduation so they would have a paid job in the community. Morningside has long partnered with local school districts to provide superb learning opportunities to special education students. 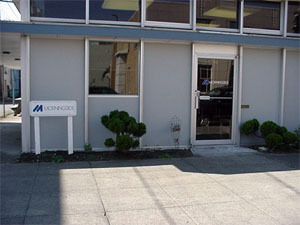 During this Fourth Decade (1993-2003) Morningside began expanding geographically outside Olympia. We were invited by the county disability coordinators to open an office to offer individuals with Developmental Disabilities a community employment choice in selecting a provider. We also made a commitment this decade to close our sheltered workshop program. 1994 – We began expanding geographically with the opening of our Lewis county office. We responded to requests to provide quality individual supported employment services. 1998 – We began our Community Jobs Initiative program in the tri-county area of Thurston, Mason and Lewis counties. This program provided TANF recipients by providing valuable job experience in public sector training sites leading to employment. 2000 – “Bridge to Community” – We made a commitment to close our sheltered workshop (or large group segregated employment) based on what participants told us. Our goal was that by 2004 all those we serve would be working individually or in small groups in businesses, state and other public entities in the community. 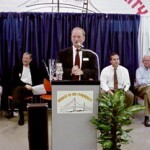 2000 – Opening of an office in Port Angeles (Clallam County). 2001 – An office was opened in Port Townsend (Jefferson County). 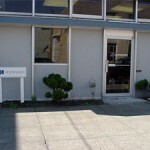 2002 – We opened an office in Aberdeen (Grays Harbor County). 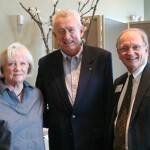 During this decade Morningside made a dramatic paradigm shift in programs offered to individuals with disabilities. This major program change included the closing of the sheltered workshop and shifting focus on our effort on supporting individuals with developmental disabilities working in the community. 2003 – Created Costal Business Services Company a profit making company, a spinoff of our commercial ventures. Morningside is the sole owner of this company. 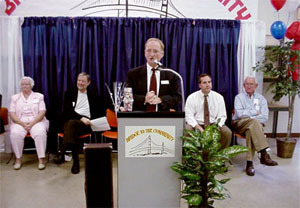 2004 – Closed Sheltered Workshop at our “Bridge to Community” celebration event. 2005 – We sold our property on Ethel Street in 2005 as our old location was antithetical to our new focus of clients working in the community. This building had served us very well for so many years. 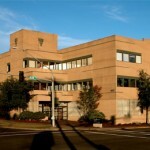 2006 – Morningside found an ideal spot on the main arterial into Olympia, Plum Street for our new corporate center. 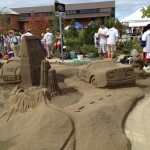 This site exceeded all our criteria for integration, accessibility, visibility and proximity to the freeway. We found a willing partner, the Thurston County Chamber of Commerce to join with us when we moved in as a long-term tenant and later as a shared owner of “The Business Center”. 2009 – Project SEARCH was launched in partnership with the Division of Vocational Rehabilitation, Olympia School District, and The Evergreen State College. Internships were developed at the college campus. 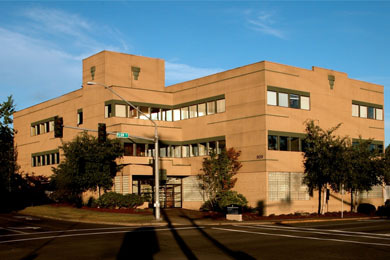 2009 – Purchased a new office building in Port Angeles. The current decade promises significant changes for individuals with disabilities working in the community. Major national initiatives promise to dramatically change how individuals with disabilities transition from school to the world of work. 2013 – Morningside celebrated our 50 years. 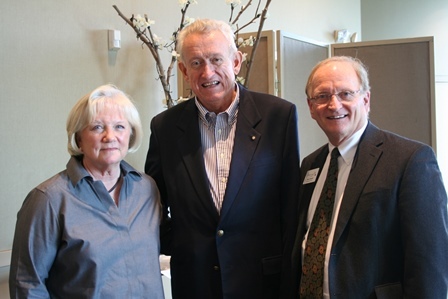 At a special luncheon celebration Ralph Munro spoke of his and other leaders involvement in Morningside’s early development. 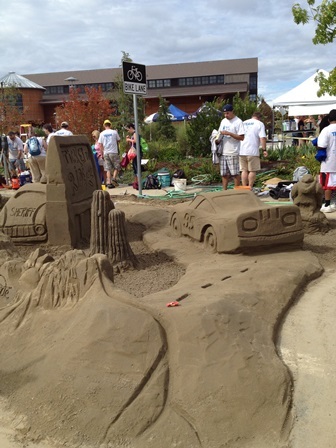 The Board of Trustees elected to participate in the Hands on Children’s Museum’s Sand in the City by building a sand sculpture depicting the Disney-Pixar movie Cars to promote the Morningside Ride. 2014 – We were authorized to provide services in Pierce County in July 2014 and began by opening two offices: one in Eatonville and the other in downtown Tacoma. We are proud to be offering individuals with developmental disabilities an option for services. 2015 – Morningside eliminated the use of a special federal provision that allowed for individuals to be paid less than minimum wage. Morningside was once again the first program in the state to make such a dramatic move but equal work means equal pay regardless of the significance of a person’s disability. We closed two offices in our Pierce County program and opened a single office in south Tacoma to save money and better serve the clients in that county. We had our CARF review and once again gained a three year accreditation. 2016 – Morningside assisted 252 individuals with disabilities find jobs in our 5 county area – the highest single year number in our 53 year history. We were awarded a two year Summer Youth Internship contract through Pacific Mountain Workforce Development Council. The program funded with Vocational Rehabilitation dollars is designed to have rural high school students who have never worked participate in a 40 hour UpLift soft skills training and 50 hours of paid internships.